It’s hard to find a budget hotel room in Singapore, and nearly impossible when you’re travelling with kids. A budget of around S$120 per night for two adults and two children limits you to hostels and guesthouses, but not all of them accept young guests. To take some of the guesswork out of finding a family-friendly hostel, the following accept children and even include breakfast. This is what S$110 gets you in Singapore. The best deal in the city is undoubtedly Betel Box with a S$60 family room with a shared bathroom. It’s furnished with a queen-sized bed and a single day-bed style bed that you can sleep two small kids on (we were charged S$80 per night for two adults and two kids aged three and four). They will squeeze in a few more single beds if required (at S$20 each), but it would really start to get a bit squashy with even another one in there. Rates include breakfast in their new ground floor restaurant, internet, and participation in their free tours like a weekend nature walk (and they have great paid tours, like the food tour we took here). If you don’t mind being away from the city centre, Hostel One66 is great value for families. A triple room with one double bed and one single bed costs S$65 and an extra bed can be added for S$19. This is one of the few hostel rooms with an en suite bathroom, but it is not air-conditioned (fan and windows guaranteed). 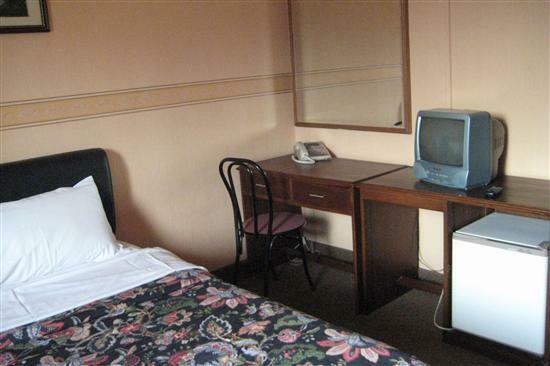 The atmosphere is very family-friendly and they happily accept guests as young as three. The Hive also welcome young children and a private room with 2 double-decker beds costs S$95 per night. If you don’t need that many beds, it’s possible to book a S$50 twin room and accommodate a third person for S$20 with an extra bed or S$10 without. Bathrooms are shared and rooms are air-conditioned overnight. If you’re not bothered by the fact that it’s above a bar, Backpacker’s Inn Chinatown accepts children age three and over. Private rooms share bathroom facilities and cost S$85 for a triple room (one queen, one single bed) or S$110 for a quad room (two double-decker beds). Homey Waterloo Hostel offers a better environment for small children and its rooms are larger than most with their own TV and mini-fridge. Triple rooms (one double bed, one single bed) cost S$110 with a shared bathroom or S$140 with a private bathroom – check their website for discounts. An extra bed costs S$25 inclusive of breakfast. 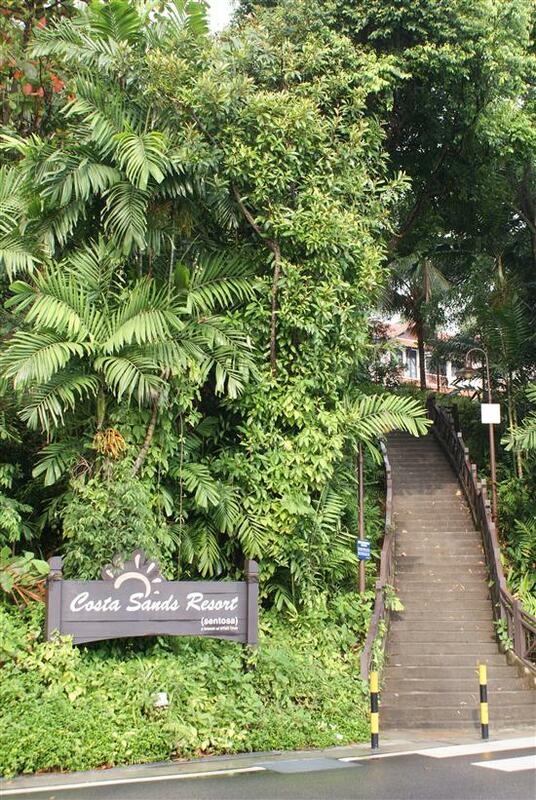 A swimming pool may sound like an unthinkable luxury at this budget, but weekday rates at Costa Sands Resort Sentosa average S$80 for the 4-bedded ‘kampong hut’ room. With bunkbeds and shared bathroom facilities they’re nothing fancy, but get you full access to the resort grounds and minutes from the beach. Needless to say, they sell out fast and rates skyrocket on weekends and holidays. It’s cheap, plus you get to carry your kids up all those stairs. At the upper limit of the budget, the family room at Footprints Hostel costs S$120 per night. That said, it’s a big room and can accommodate up to six people. Also in Little India, the Mitraa Inn has a family room that costs S$150 for a maximum of five people. Both have shared bathrooms. If you’re eager to convert your brood into true-blue backpackers, children aged 12 and older are welcome in the dorms at Fernloft (from S$20), Rucksack Inn (from S$26), and River City Inn (from S$26). Fernloft allows families with children under 12 as long as they book the whole room. This means you can get a 4-bedded room for S$100 per night at the Little India or East Coast Fernloft locations and S$120 at Fernloft Chinatown. As you’ve probably guessed by now, budget family rooms in Singapore are in short supply. Book as far in advance as possible otherwise you may have no choice but a S$300 room at the Holiday Inn (that link in case you get desperate!). Want to spend a little more? We’ve covered hotels in the S$120-$250 range for you as well.